This simple 3 device universal remote makes it easy to take control of your entire home theater. Programming is a breeze, with support for the latest streaming players, like Apple TV and Roku. 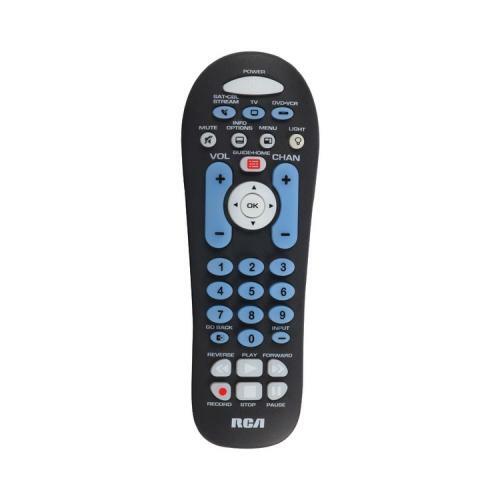 This remote has large keypads for easy navigation and partial backlighting that allows you to see the keys in the dark. Comes in a black finish.